There are endless possibilities when it comes to providing a Project Status Report Summary, and I’m pretty sure I’ve created at least a one hundred different flavors of them. That said, I’ve settled down on this Project Status Report as one of my favorites because it is pretty straight forward. We all have had those bosses that want you to give them the elevator speech for a project update, and if you are like me mind explodes when trying to “skinny down” an update. 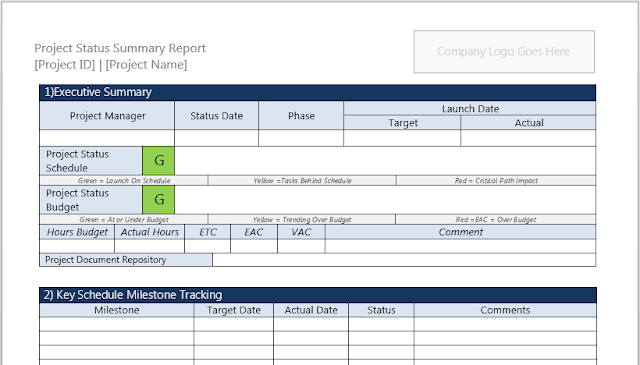 This Project Status Report Template focuses on the big blocks, and lets you fit it on a single page that you can drop off to your sponsors, stakeholders, and your boss.